Alternative Facts Are The Norm In Public Understanding Of Science : 13.7: Cosmos And Culture If we are committed to combating "alternate facts" in science — as we should be — then we must also combat the alternative theories that license them, says guest blogger Andrew Shtulman. In an interview on Meet the Press in January, Kellyanne Conway introduced a new phrase into popular discourse: "alternative facts." Conway, a senior adviser to President Trump, was asked to defend the claim that Trump's inauguration drew "the largest audience to ever witness an inauguration." She denied that it was a falsehood (despite photographic evidence to the contrary), claiming instead that the White House had based its conclusion on "alternative facts." The notion of alternative facts was roundly mocked on social media. One viral post depicted the cover of a fake children's book — The Little Golden Book of Alternative Facts — on which a bird was labeled "butterfly," a chair "table," and a dog "cat." Alternative facts like these are absurd, and no one would endorse them (hence, the mockery). But there are many alternative facts that are just as absurd from an empirical point of view but widely endorsed nonetheless: that dinosaurs once coexisted with humans; that humans appeared on Earth in their current form; that the sun revolves around the Earth; that vaccines cause autism; that genetically modified foods are dangerous to eat; that humans are not responsible for climate change. Such misconceptions have been documented for decades by the Gallup Organization and the National Science Foundation, and they abound not just in the U.S., but also in Asia and in Europe. Alternative facts about political issues, like the size of inauguration crowds or the birthplace of Barack Obama, receive significant media attention and public ire, but alternative facts about science do not. Alternative facts about science are commonplace; they are a well-established and long-accepted backdrop for public discourse about scientific issues. Why are we outraged by alternative facts in politics but complacent about alternative facts in science? There are likely several reasons, but chief among them is that alternative facts in politics defy common sense, whereas alternative facts in science are completely sensible. They accord with prior beliefs about how the world works, and they are consistent with what we observe in everyday life. It's the real facts in science that defy common sense. Psychologists have been studying how humans perceive and understand the natural world for several decades, and they have discovered that much of this knowledge is organized into coherent networks of cause-effect beliefs, or intuitive theories. Psychologists call these theories intuitive because they are our first attempt to understand the phenomena around us, before we learn scientific theories of those same phenomena. They call them theories because they function similarly to scientific theories, allowing us to explain past events, intervene on present events and predict future events. Intuitive theories are a double-edged sword. On one hand, they allow us to make sense of phenomena we might otherwise find perplexing: sinking, floating, burning, freezing, growing, dying. On the other hand, they prevent us from learning more accurate theories of the world, blinding us to counter-evidence and counter-instruction. 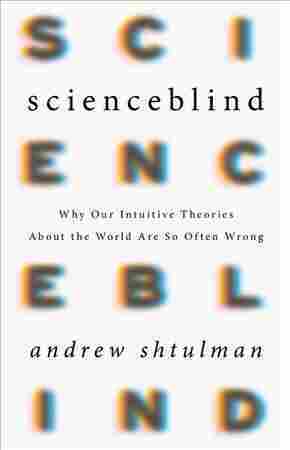 In my book Scienceblind: Why Our Intuitive Theories About the World Are So Often Wrong, I describe several intuitive theories of the physical world and several intuitive theories of the biological world that not only impede our ability to learn science but also make us susceptible to scientific misconceptions — or, in today's parlance, alternative facts about science. Consider these two widely endorsed misconceptions: that humans are not responsible for climate change (endorsed by around 50 percent of Americans) and that genetically modified foods are dangerous to eat (endorsed by around 60 percent of Americans). The first misconception is a byproduct of our intuitive theories of geology and the second is a byproduct of our intuitive theories of inheritance. We balk at the idea that humans are changing the Earth's climate because we view the Earth as static and inert, not active and dynamic, and we view geological events as brief and isolated, not ongoing and interconnected. Climate, in particular, is viewed as synonymous with weather, and climate change is viewed as synonymous with hotter weather. Our acceptance of climate change is thus no more stable than the weather itself. On hot days, we are concerned about climate change and willing to take steps to curb it, but on cold days, we may forget that climate change is even happening, let alone that humans have the ability to affect it. We balk at the idea that genetically modified foods are safe to eat because we view genes as the seat of an organism's "essence," or its potential to develop species-typical traits. Modifying an organism's genes is viewed as tantamount to manipulating its essence, and transferring genes from one species (say, a fish) to another (say, a tomato) is viewed as combining fundamentally distinct essences and thus creating an abomination of nature (a fish-tomato). Most people are also unaware of genes' role in biological development and thus their ubiquity across biological systems. In one recent survey, 82 percent of Americans supported mandatory labels on foods produced with genetic engineering, but nearly the same percent (80 percent) also supported mandatory labels on "foods containing DNA." If 80 percent of the American public doesn't know that virtually all food contains DNA — as virtually all food comes from plants or animals — then what credence should be given to their opinions regarding genetically modified foods? These two cases illustrate that alternative facts about science are just as pernicious as alternative facts about politics, if not more so. The belief that humans are not responsible for climate change leads to complacency about carbon emissions and disregard for rising global temperatures. The belief that genetically modified foods are dangerous to eat leads to inconsistent labeling practices and restricted access to efficient sources of nutrition. 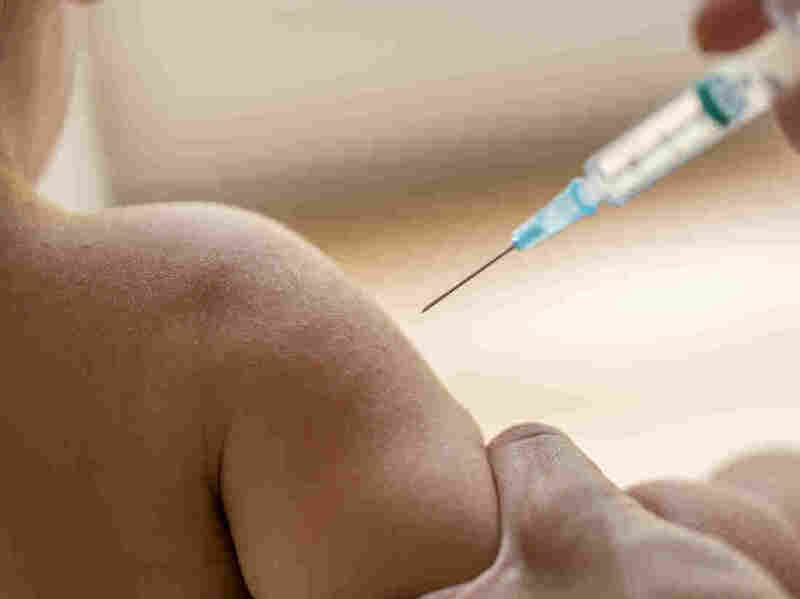 Likewise, the belief that vaccines cause autism leads to lapses in immunization and outbreaks of infectious disease. And the belief that humans appeared on Earth in their current form leads to hostility toward evolution education and apathy toward other biological kinds, with whom we share common ancestry. Alternative facts about science go unnoticed by many non-scientists because they are grounded in alternative theories of how the world works. If we are committed to combating alternate facts — as we should be — then we must also combat the alternative theories that license them. Andrew Shtulman is a psychology professor at Occidental College. He studies how people acquire new concepts and form new beliefs, particularly those related to science, and he can be found on Twitter @andrewshtulman.